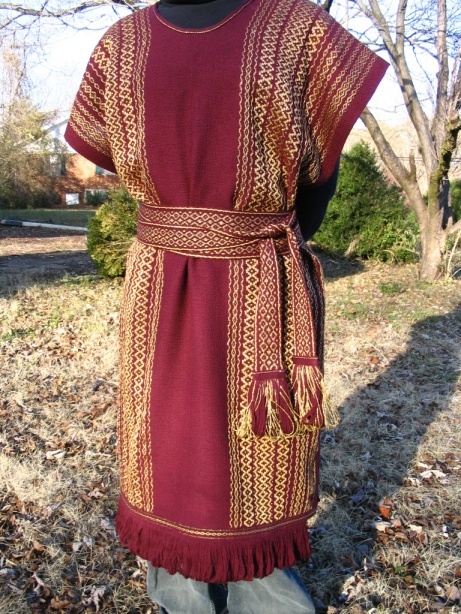 A Custom Silk Tallit. 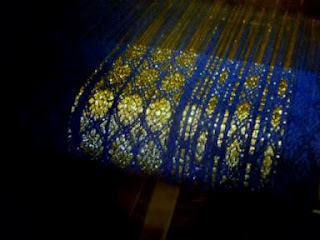 The alef and tav are hand-brocaded on the loom (similar to hand-embroidering), all the silk is hand-painted, and there are also some surface designs features which are secret to the owner as well as other special sentiments incorporated in the weaving itself. This is a very large, enveloping tallit. Classic style men's tallitot woven of fine wool and synthetic 'gold', silver, copper etc. This is the kind of tallit I have been weaving since 1977. 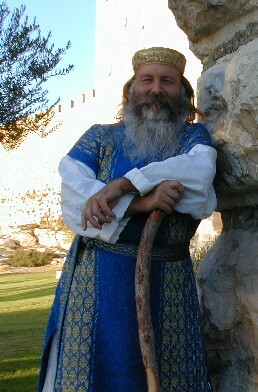 As with all Beit Yosef Hebraic designs, each one is unique, custom-designed to the wearer's choices of size, striping, and colors, and is woven in accordance with Torah halacha. Fancy begedim for men, woven in a complex weave structure. 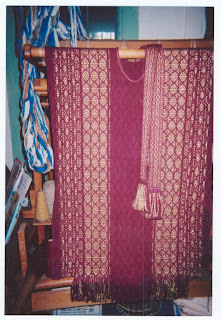 The fiber is silk; the reddish one is hand-dyed with lac, a dye of antiquity, and the blue one is dyed with procion dyes. Each beged has a handwoven neckband and a handwoven sash, features which are unique to my begedim. While these features add a substantial amount of time and work, they make for superior quality garments, as well as conforming more closely to the Scriptural description and archaeological depictions. 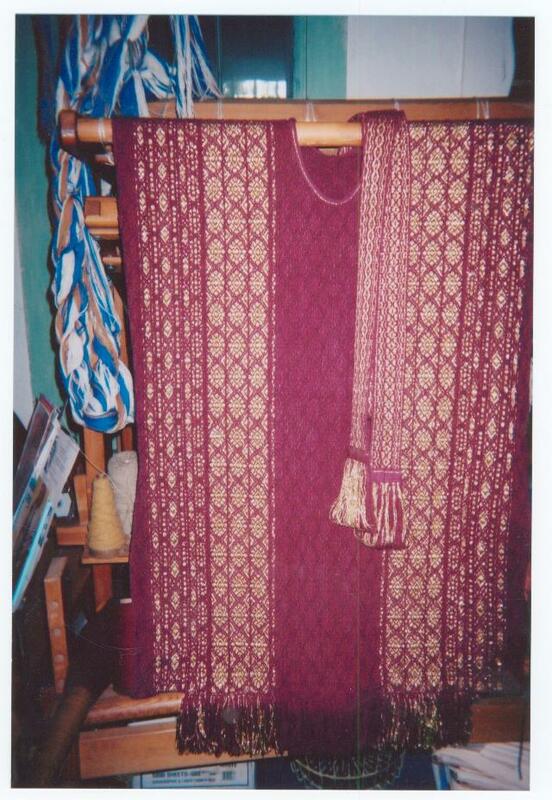 This one is woven of fine wool and synthetic 'gold'. 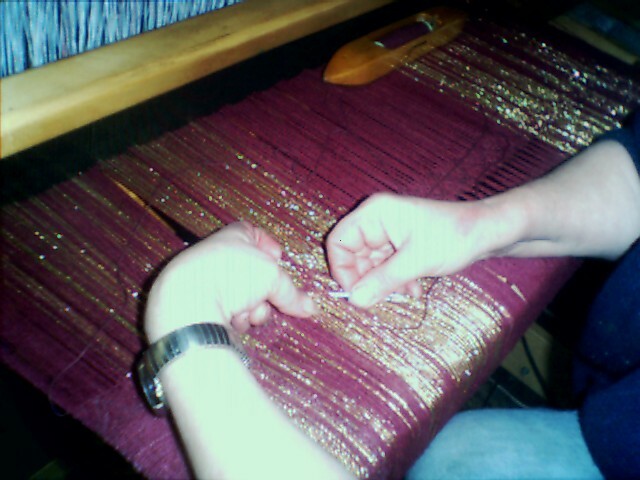 The second picture shows it being woven on the loom. 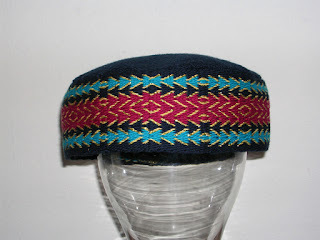 Handwoven, custom-designed Bukharan kippot. woven in any of the natural fibers, observing Torah law prohibiting shatnitz (as with all our textiles). Myriads of designs are possible, and any color. 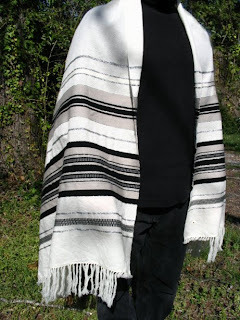 Lined in handwoven fabric, and mostly hand-stitched as well as handwoven..